Bratislava, April 26 (TASR) – Slovakia is an undiscovered land for Austrian people, even though Bratislava and Vienna are situated close to each other, stated Slovak President Andrej Kiska on Wednesday, with his Austrian counterpart Alexander Van der Bellen, who is paying an official visit to Slovakia, agreeing with this opinion. 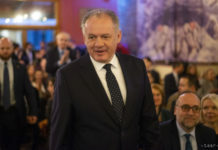 „Let’s intensify our relationship even more, chiefly in the field of tourism and culture so that Slovaks and Austrians will get to know each other better,“ said Kiska. 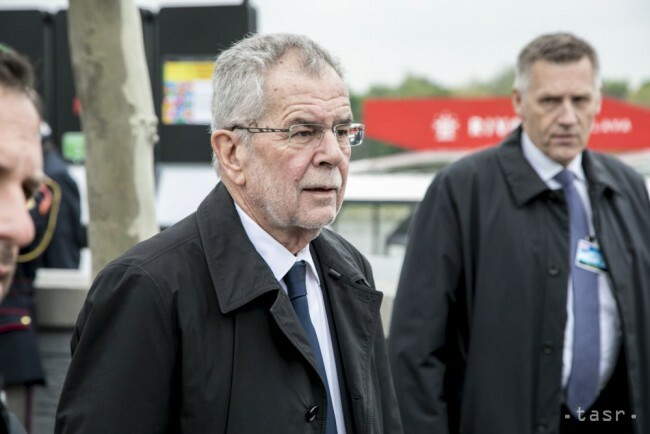 „I must admit that I don’t know Slovakia very well, although I’ve already visited Bratislava a couple of times,“ said Van der Bellen, adding that he would be glad if Austrians came to Slovakia more often. Kiska claimed to have many things in common with Van der Bellen in terms of values. „Values such as tolerance, humanity and solidarity are close to me as well,“ he said. Kiska views this as a weapon against populism, extremism and xenophobia. He thinks that both politicians and ordinary people lack optimism, but he’s found it in Van der Bellen. „Optimism needs to be returned to the EU. We must show that we’re able to cope with any crisis if we are united,“ he said. The European Union isn’t a problem, but a solution, stated Kiska, stressing the need to hold a dialogue and to be empathic. „I’ve found a man who’s briefly summed up the essence of the EU,“ said Van der Bellen in reaction to Kiska’s speech. The Austrian president is glad that the opinion that growth in nationalist power can’t be halted is no longer as strong among the public. „It’s already over,“ he stated. The results of the Dutch elections attest to this, and Van der Bellen believes that the result of the French elections will do the same. Van der Bellen confirmed that the two presidents found accord on most issues. However, their opinions on some areas differed, admitted the Austrian president, naming nuclear energy as an example. „We [Austrians] don’t see the technology of the future in it,“ he said. Kiska reiterated that in the case of a multi-speed EU, Slovakia is interested in being at its core. If this is the case, Austria would like to be at the core as well, stressed Van der Bellen, who personally doesn’t incline towards several speeds, however. „I hope that there won’t be any differentiation,“ he added. The Austrian president is also scheduled to meet Slovak Prime Minister Robert Fico (Smer-SD), participate in a discussion with students of Comenius University in Bratislava and deliver a speech at a Slovak-Austrian economic forum. Slovakia is the first central and eastern European country that the Austrian president has visited after assuming office. Austria is one of the biggest investors in Slovakia, with around 2,000 Austrian firms active in the country.